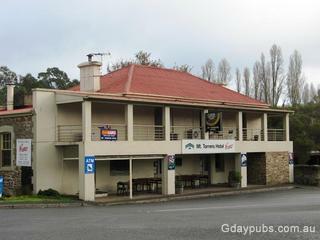 Mount Torrens Hotel The only hotel in the attractive township of Mt Torrens. Great front bar, lounge Bar with cosy open fireplace, pool room and dining room A popular hotel with the local township with a population of about 250 people. Mt Torrens is located in the Adelaide Hills 43km east of Adelaide, 9km south of Birdwood and 16km north of Oakbank on the busy Onkaparinga Valley road from Oakbank and Lobethal travelling to Birdwood, the Barossa Valley and the river at Mannum.